Humans owe a lot to photosynthesis, the process by which green plants turn water and carbon dioxide into the food we eat and the air we breathe. But this 3.5-billion-year-old biochemical process is woefully inefficient — at least in its natural state. Now scientists have found a way to "hack" photosynthesis, using genetic engineering techniques to reprogram plants' biochemical machinery to enable them to grow bigger and faster. 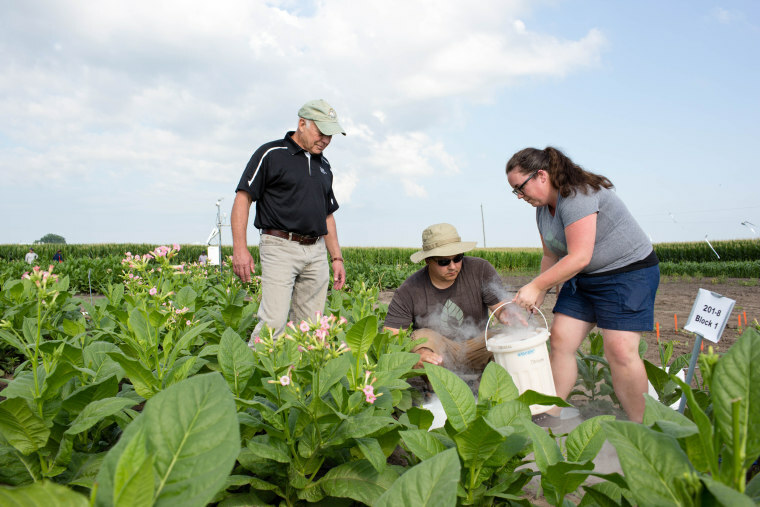 In a series of experiments at the University of Illinois, the genetically modified tobacco plants grew up to 40 percent bigger than ordinary tobacco plants. If the same kind of tweak can work for food crops like wheat and soybeans, the scientists say, it could help farmers around the world produce enough food to sustain a growing global population. RuBisCO evolved about 3.5 billion years ago, at a time when there was no oxygen in the atmosphere. As a result, it's not particularly good at discriminating between carbon dioxide and oxygen. Sometimes it latches onto a molecule of oxygen rather than carbon dioxide. 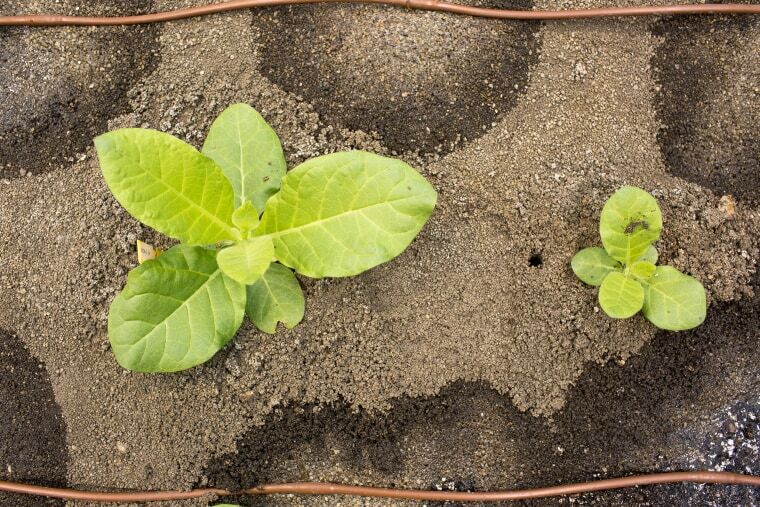 "This is essentially anti-photosynthesis, and the plant produces a toxic compound that it has to recycle and detoxify," said Donald Ort, a plant biologist at the University of Illinois and the study’s senior author. The detoxification process requires plants to expend a lot of energy, meaning they have less to devote to growth. The scientists didn't modify the enzyme but changed the plants' DNA by inserting genes that simplify and speed up the detoxification process. 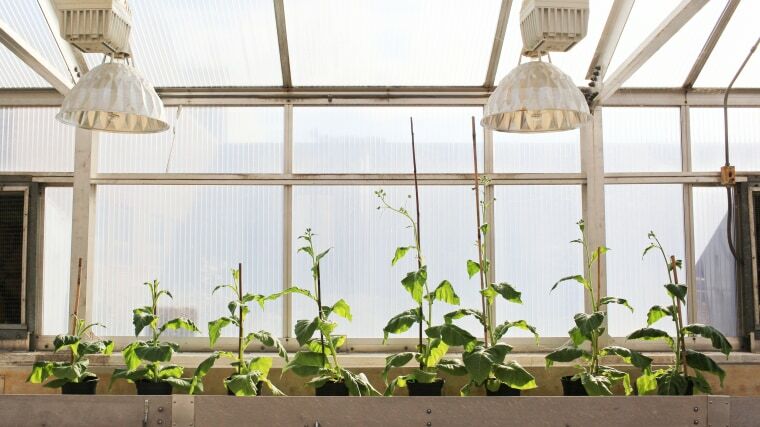 As a result of the modification, the plants were able to grow bigger and more rapidly — a result seen in plants grown in the field as well as in greenhouses. The scientists worked initially with tobacco plants because they grow quickly and have genes that are easy to manipulate, Ort said. Now they're trying out their technique on potatoes, soybeans and cowpeas. Robert Blankenship, a biochemist at Washington University in St. Louis who wasn't involved with the research, called the results “impressive” and said the Illinois scientists' feat is a major advance.